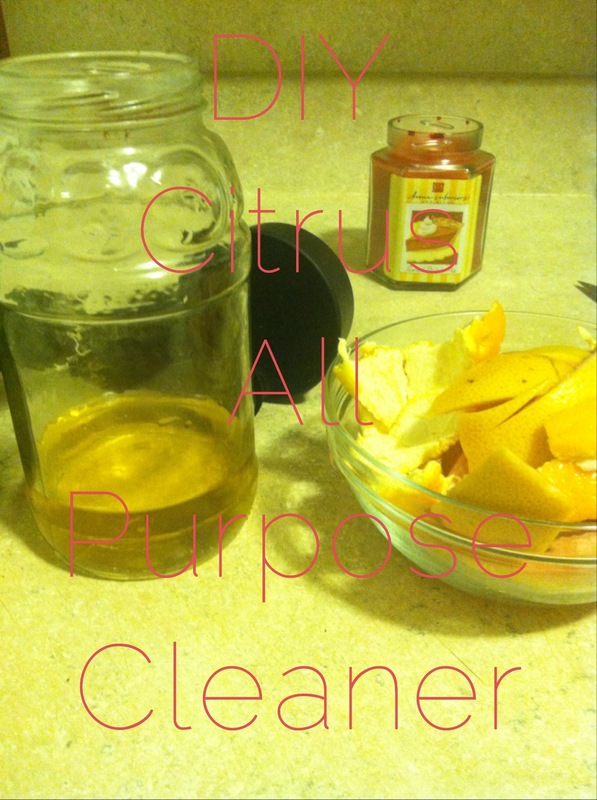 You will need a jar or container of sorts, citrus peels (I used grapefruit and oranges), and apple cider vinegar (white vinegar is just as good). All you will do is combine 2 parts vinegar and 3 parts water along with the peels of 2 citrus fruits. Bruise your peels with a wooden spoon to release their yummy smelling oils. Close up your jar and let it sit over night or 2. Strain the liquid from the peels and put into a spray bottle or even on some thick paper towels for cleaning wipes. Enjoy! Previous Is Hair Typing Tearing the Natural Hair Community Apart? Next End to All Mommy Wars!